DISCLOSURE: This post is sponsored by Bruegger’s Bagels. All thoughts expressed here are 100% my own. Mornings in my home during the school year can only be described as incredibly busy! We have six family members waking up and eating breakfast at five separate times, and leaving the house at four different times. From the time the first person wakes up until the last person runs out the door, it’s a whirlwind! Quick breakfasts are the only way to go, but relying on cereal, instant oatmeal or frozen waffles each day gets boring. There’s a simple and delicious solution that all of us can agree on: bagels! 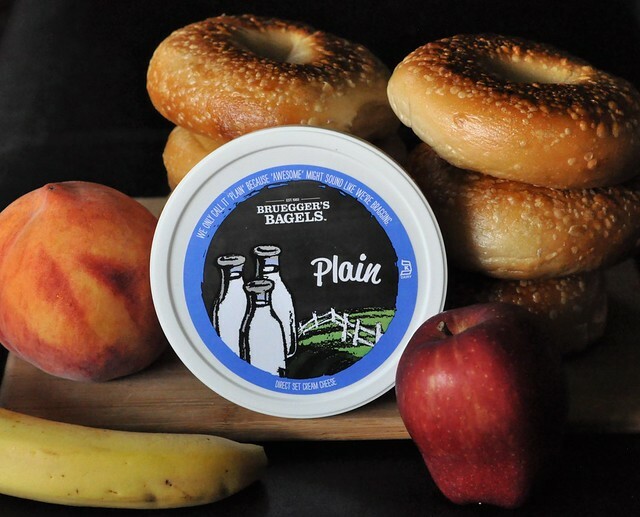 Our favorite bagels come from our local Bruegger’s Bagels, which has bagel and cream cheese flavors that we all love! Finding time to run extra errands in a family of six is often a struggle, so I have even ordered the small bagel box online from the catering menu, and asked my husband to pick it up when he leaves the office. It has enough bagels for two days and comes with plain and honey walnut cream cheese, and it’s waiting for him ready to go when he arrives. 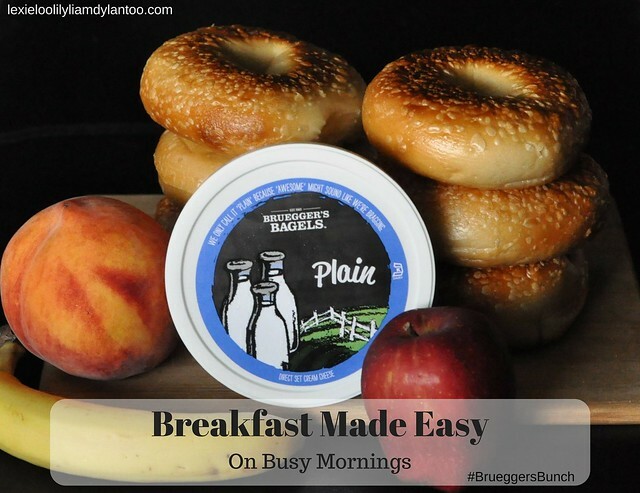 I’m the first person awake each morning, bright and early at 6 AM, but preparing breakfast for our busy morning ahead is an easy job with Bruegger’s on the menu. 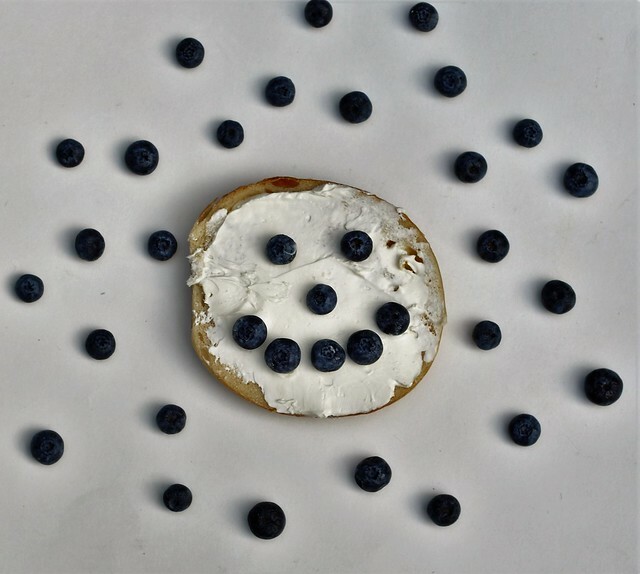 I simply slice each bagel in half, sit out our favorite cream cheese flavors and add a few pieces of fruit. 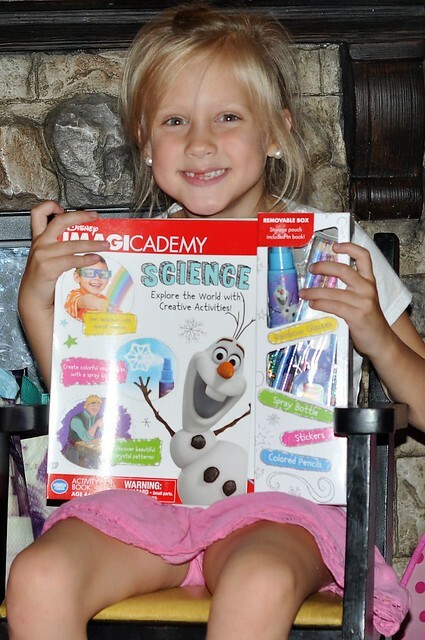 Thanks to Bagels A La Carte, each family member can choose exactly what they want! 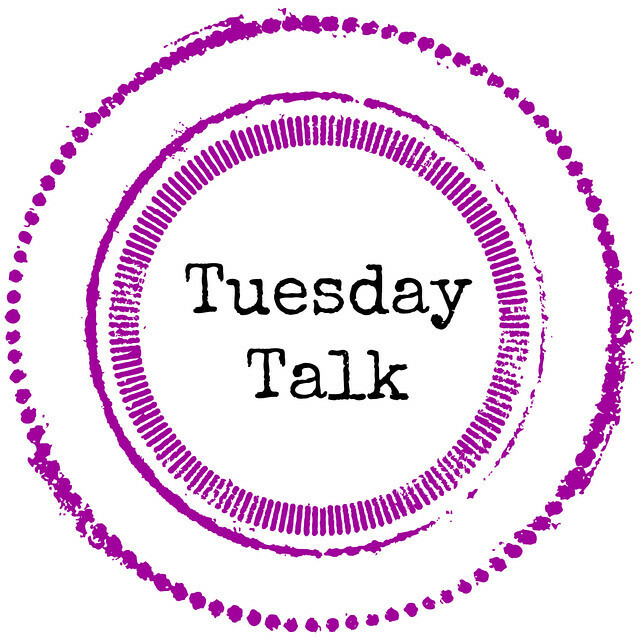 At Bruegger’s Bagels, there is a flavor that everybody in my family loves, but most of the time we stick with plain, so we can jazz them up with our favorite toppings. My 12 year old son Dylan is the first to leave on school mornings, his bus picks him up at a painfully early 6:43 AM. 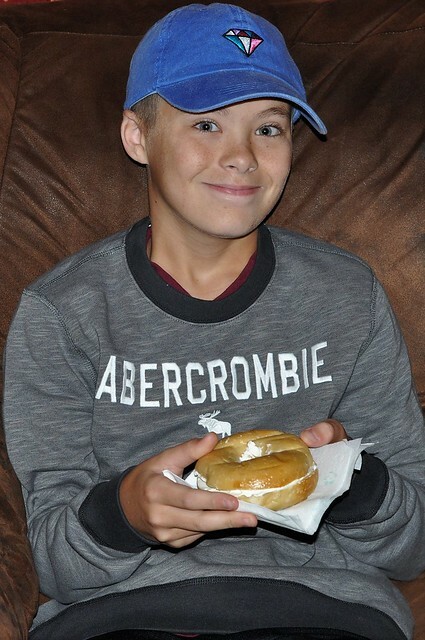 He’s not always in the mood for a full breakfast but willingly eats bagels, so we purchase them often. 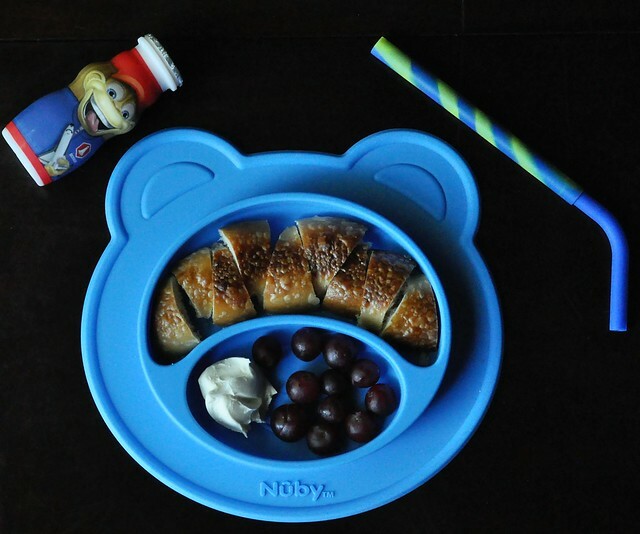 Although he is our most creative eater, he usually opts for a plain cream cheese bagel sandwich and a piece of fruit to start his day! My husband leaves for work about an hour later. 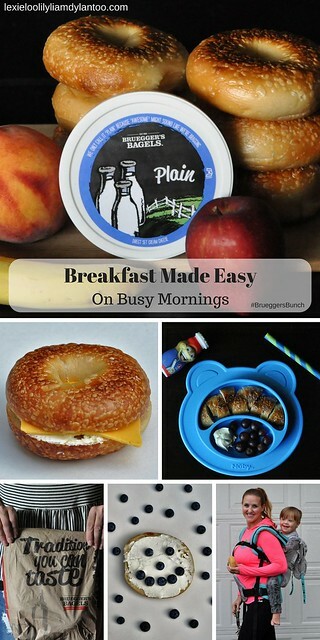 He eats his breakfast during his long commute or at his desk, so his breakfast has to be simple. 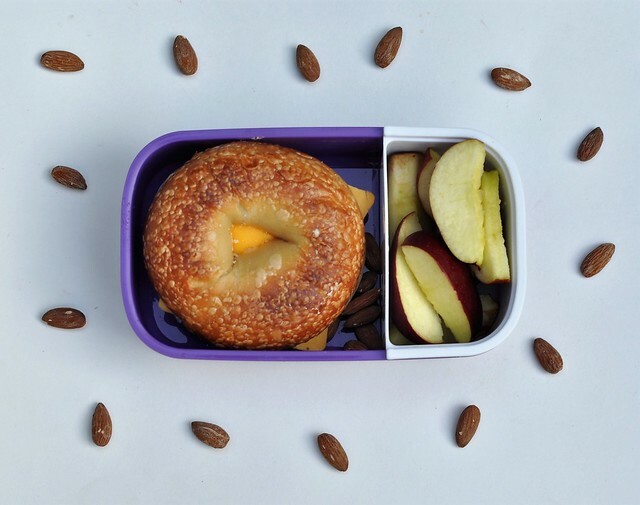 An egg and cheese bagel sandwich along with fruit and almonds makes for a healthy, well-balanced breakfast that satisfies his hunger until lunchtime! Liam is the last person to wake up each morning. 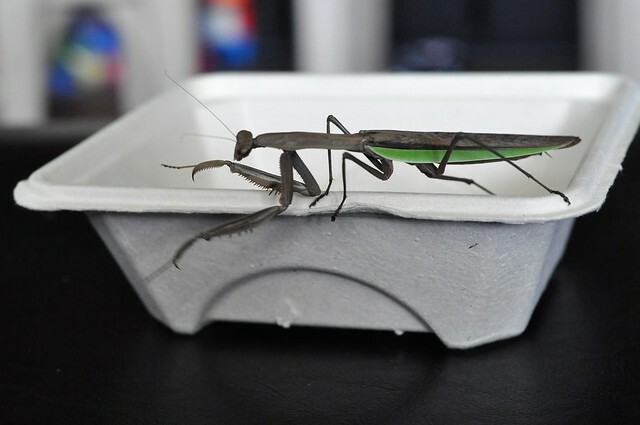 He likes to spend some time playing before devouring his breakfast! Eating a full bagel is still a bit difficult for Liam, so I slice it into small wedges to make it easier for him, then give him a spoonful of softened cream cheese for dipping. 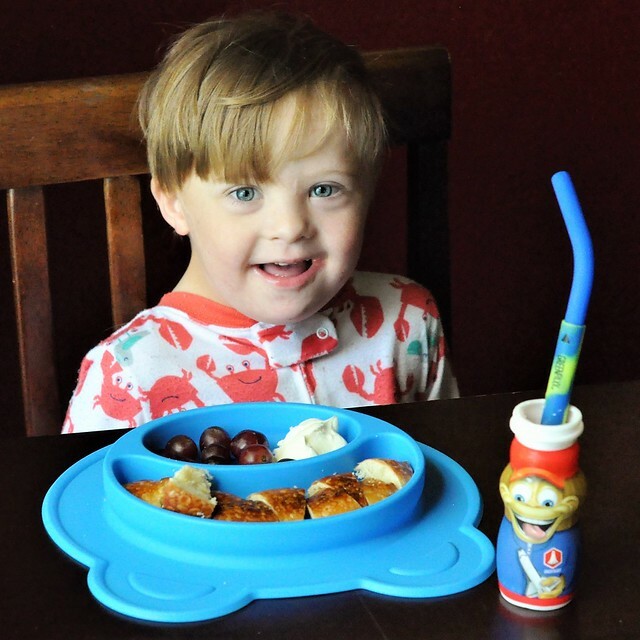 Serving it with a side of fruit and a yogurt drink gives him a healthy start! Mom, of course, is always the last person to eat! I used to have a bad habit of skipping breakfast, and I would only remember when hunger pains hit in the afternoon, but now I make sure to grab an easy breakfast to take with me as I run out the door. 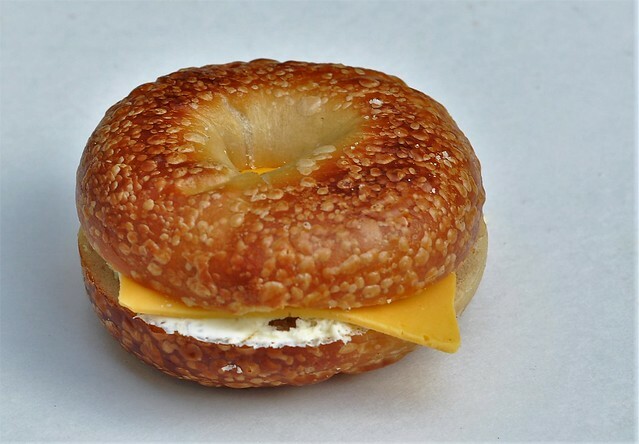 I prefer a bagel with Strawberry, Honey Walnut or Greek Blueberry (the summer special at Bruegger’s Bagels) cream cheese, some almonds and a yogurt drink! And my breakfast is literally eaten on the run! Getting used to our new morning schedule has been an adjustment, but (I think) we’re rocking it! 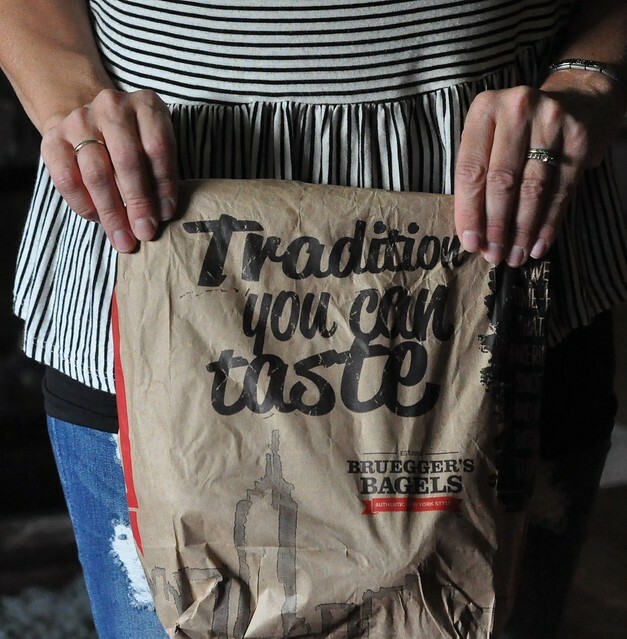 Thanks to the help of our Bruegger’s Bagels breakfast, our mornings have been easier. 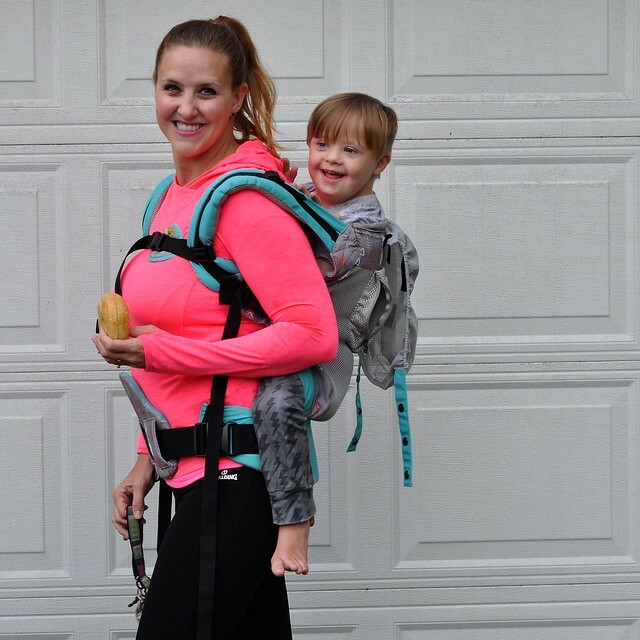 As a busy mom of four kids, I’m a fan of ANYTHING that saves me time! We are really looking forward to a break over Labor Day Weekend! Starting today, visit http://bit.ly/2v3vEoy and head to your local Bruegger’s Bagels to enjoy $3 off their Big Bagel Bundle! DISCLOSURE: The clothing from French Toast that is featured in this post was received complimentary. 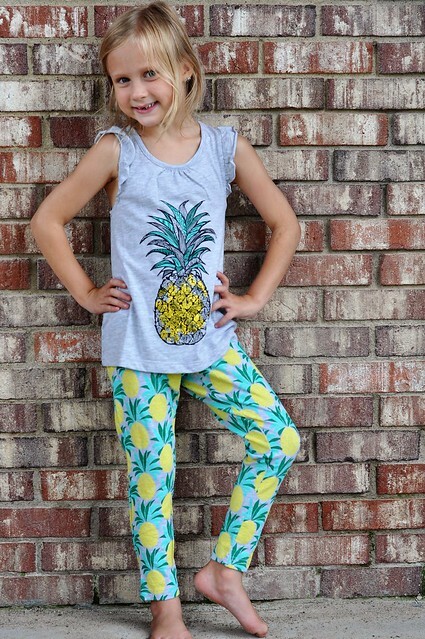 My family loves pineapple! 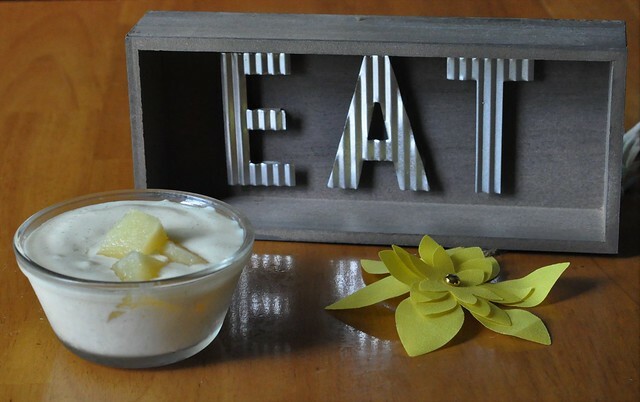 It's one of our favorite snacks year round, and any recipe that features pineapple is an instant hit. 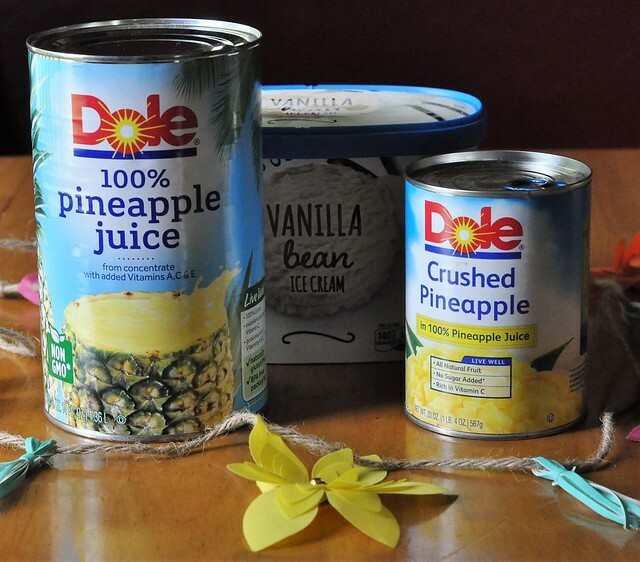 At the beginning of the Summer, we tried Pineapple Dole Whip for the first time, and my kids begged me to duplicate the recipe. 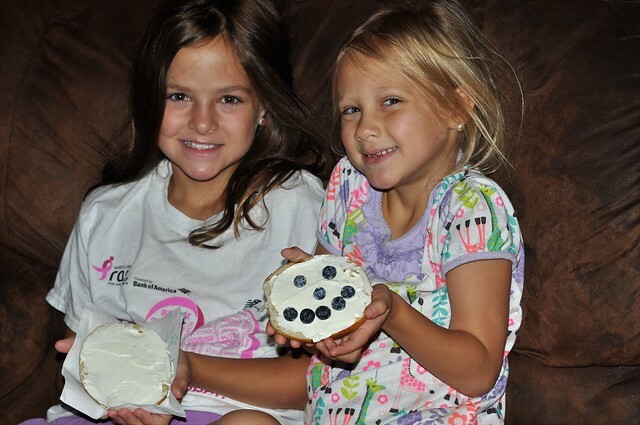 After some trial and error, we found a homemade recipe that we love! 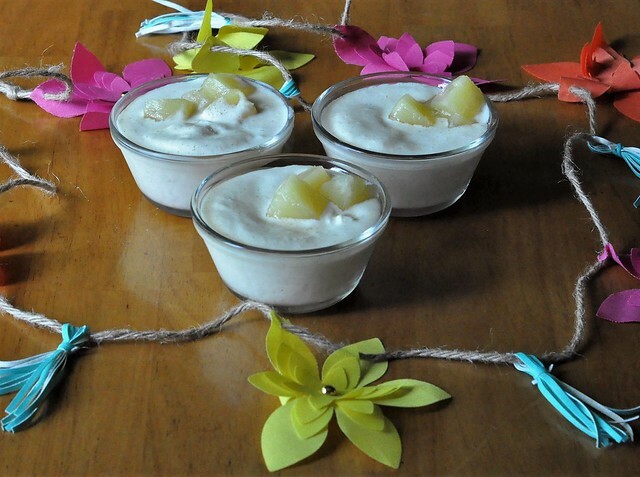 This recipe is simple to make and absolutely delicious! The first time I made it, my family devoured it in one sitting and immediately requested more. It's an incredibly refreshing treat that is perfect for Summer days! This 3-ingredient recipe is so easy to make that even Dylan and Lexie can quickly whip it up on their own! 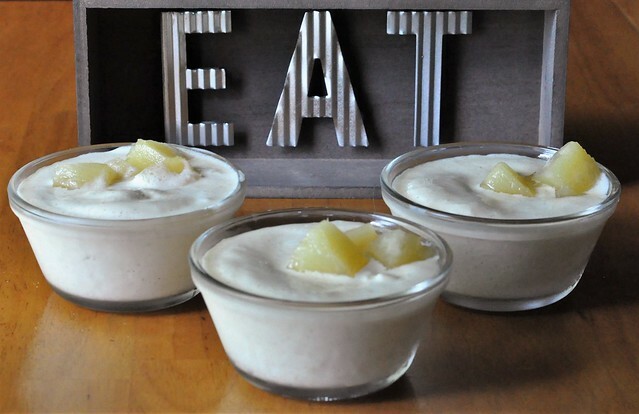 It can be served straight from the blender for those who prefer a softer frozen dessert (ME! 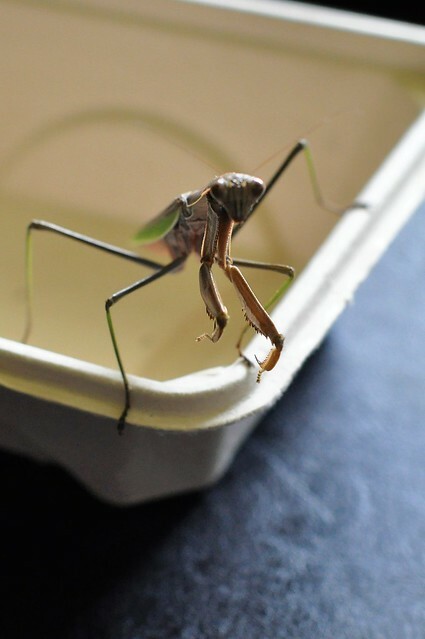 ), or placed in the freezer for a few minutes for those who prefer a more frozen dessert (like my strange husband). Either way, everybody wins! The great thing about this recipe is that it can be easily adjusted for personal taste. 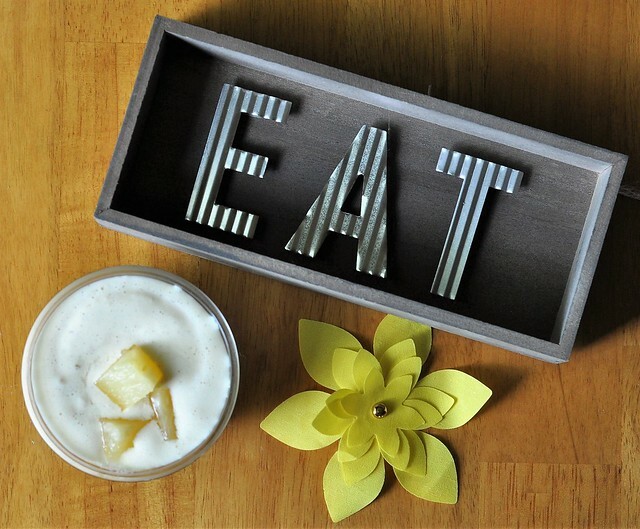 Although the recipe above is a family favorite, some family members occasionally like to add a bit more pineapple punch! Sometimes, I bump up the crushed pineapple measurement to 1 cup. We have also made it more like a milkshake by using crushed pineapple that isn't frozen, and bumping up the pineapple juice to 1 cup! Place all 3 ingredients in the blender and blend until smooth. 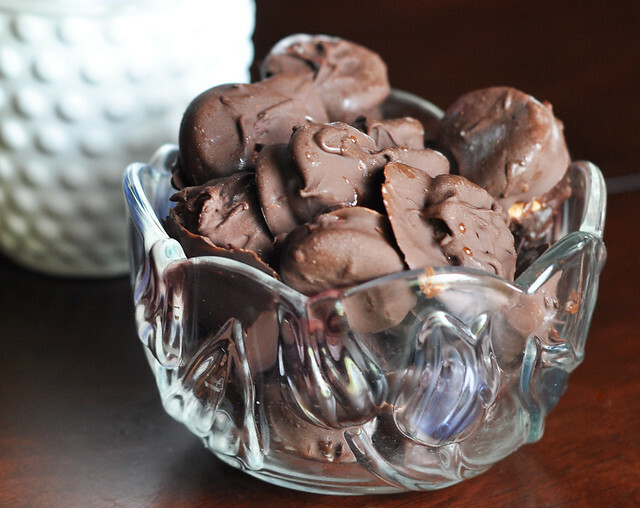 Pour into dessert cups and serve immediately, or place in the freezer for 30 minutes for a more frozen dessert. 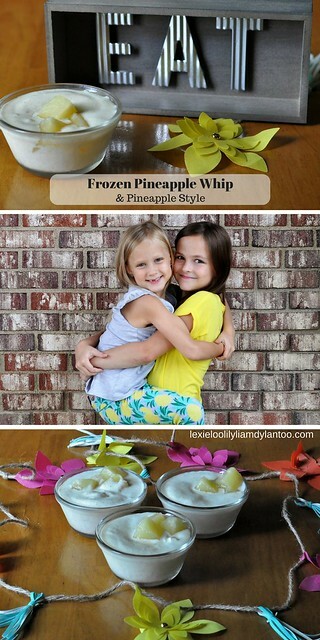 OPTIONAL: Garnish with pineapple chunks. It really is as easy - and DELICIOUS - as it sounds! 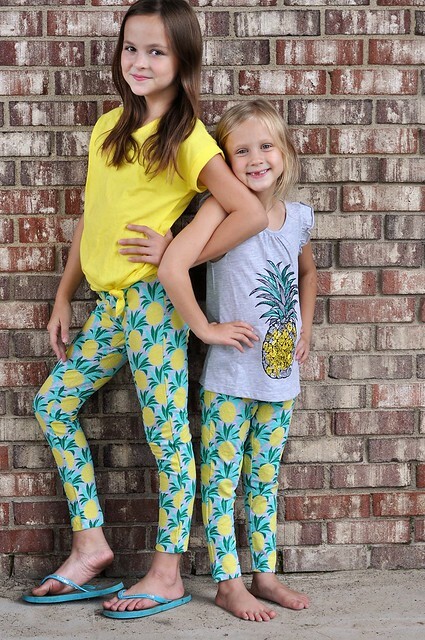 While we're on the topic of pineapple love, let's talk pineapple style! 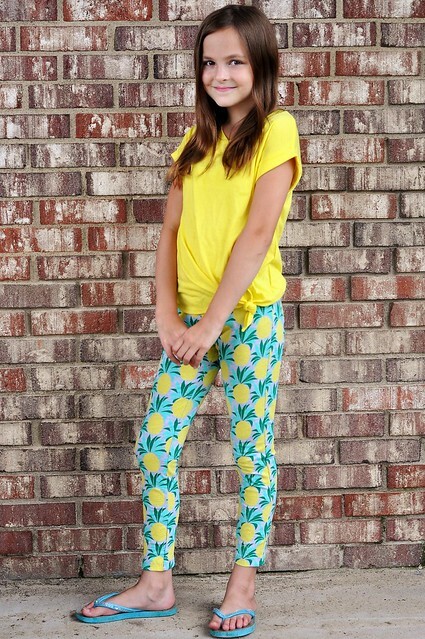 This year, pineapples seem to be everywhere, including on clothing. 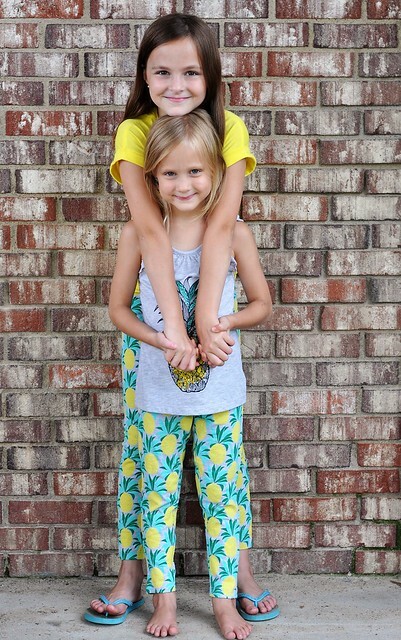 My girls adore their pineapple outfits from French Toast! 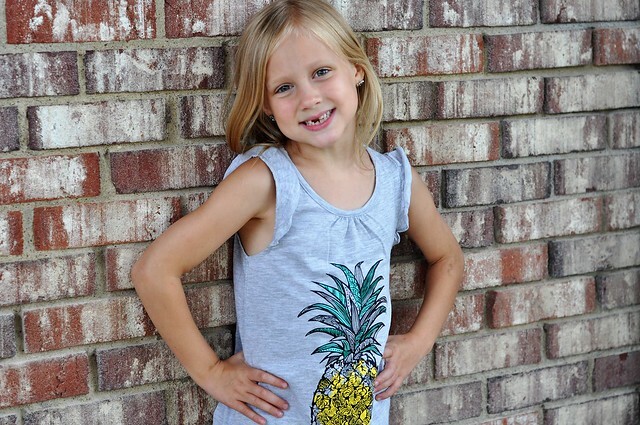 French Toast offers mix and match clothing in styles that kids love! 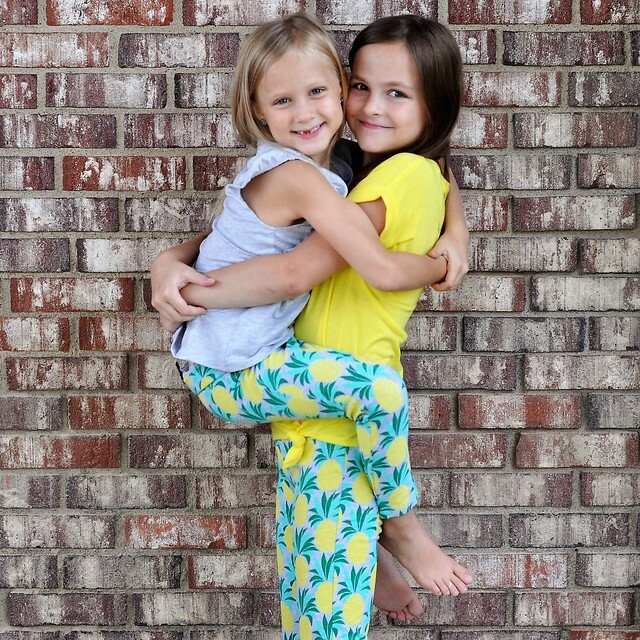 Not only is the clothing affordable, but it's also comfortable. 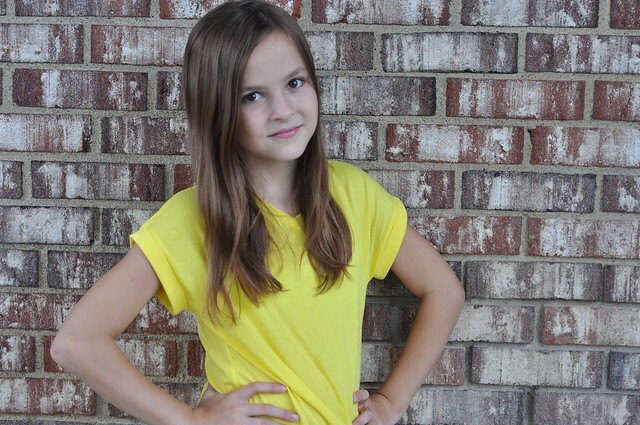 It's perfect for school (hence why they specialize in uniforms) or the playground! 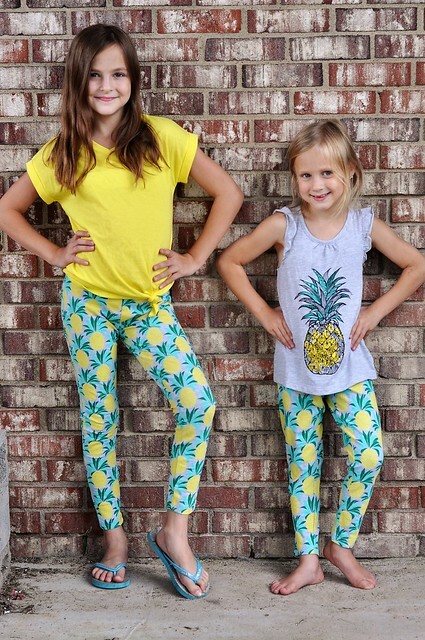 Lexie and Lily loved their pineapple leggings, but they were even more excited about their coordinating styles! 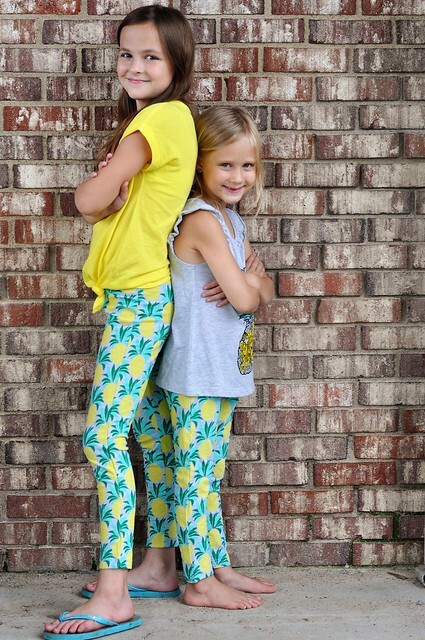 Pineapple Love is strong with my family! 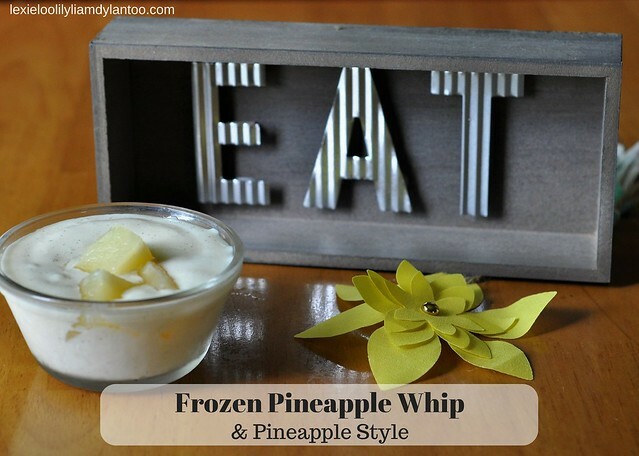 Frozen Pineapple Whip is one of our new favorite treats. Not only is it incredibly delicious, but I love how I can make it in just a few minutes and make my entire family happy. Enjoy! 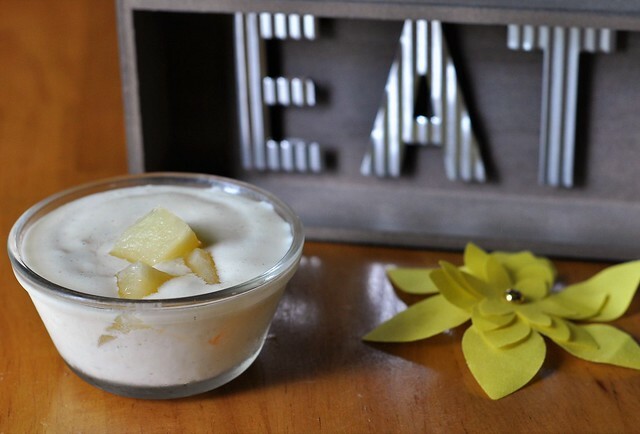 Have you tried Pineapple Whip? 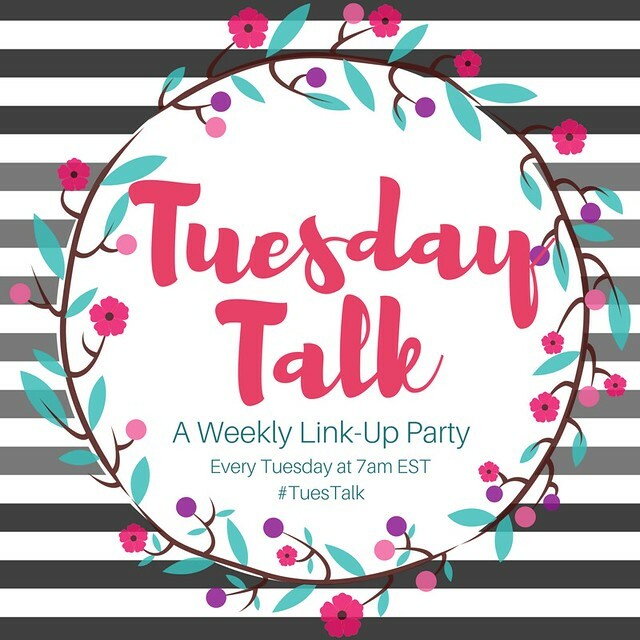 DISCLOSURE: I received some of the party supplies shown in this post complimentary. 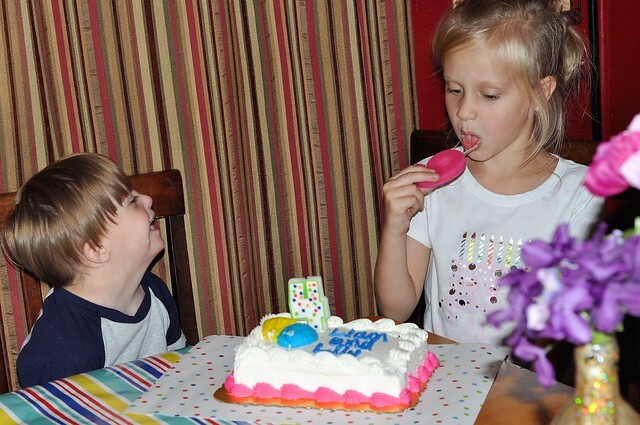 Lily and Liam's birthdays are just two weeks apart, so every year we throw them a big combined birthday party! This year, we only had one free Saturday in a 3 month span, so we had to scale things down a bit. 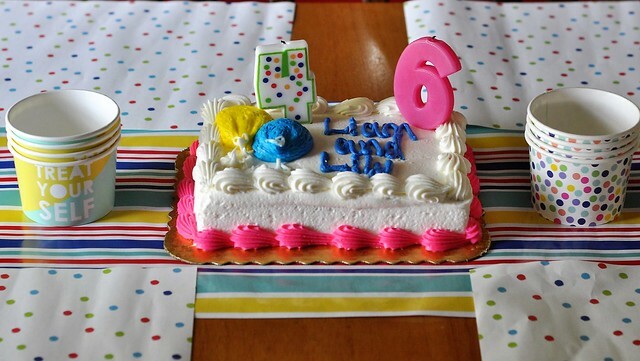 On Saturday, we hosted two very small birthday parties to celebrate Liam's 4th Birthday and Lily's 6th Birthday! 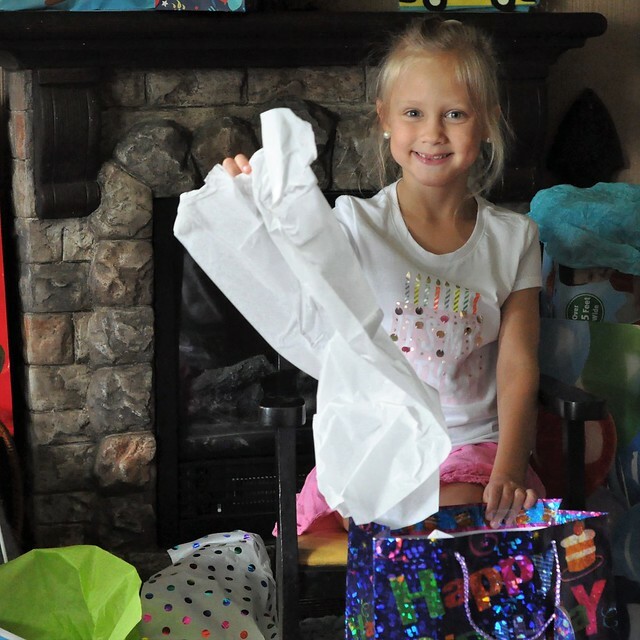 A combined birthday party doesn't work for every family, but Lily is still agreeable, so we stick with it! 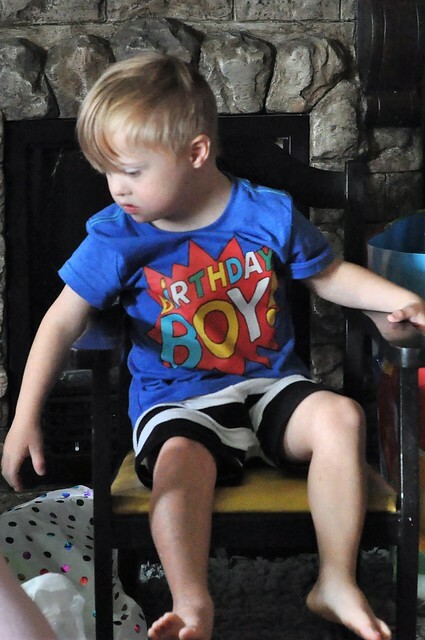 I'm sure our family and friends appreciate the fact that they don't have to come to two birthday parties in August, too. 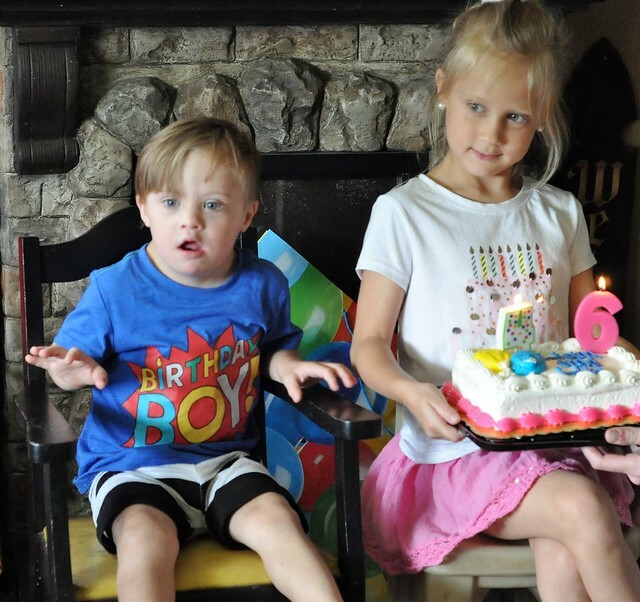 We go big for actual birthdays, so both Lily and Liam still have their extra special days. 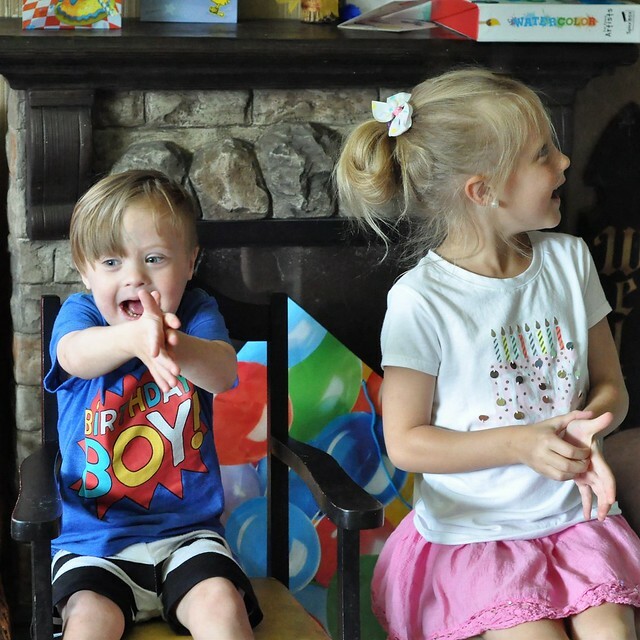 Usually, we have one big combined birthday party for Lily and Liam, but the timing was off this year. Thanks to school starting a week earlier than usual, which is the week we go to the beach, we had to adjust our schedule. 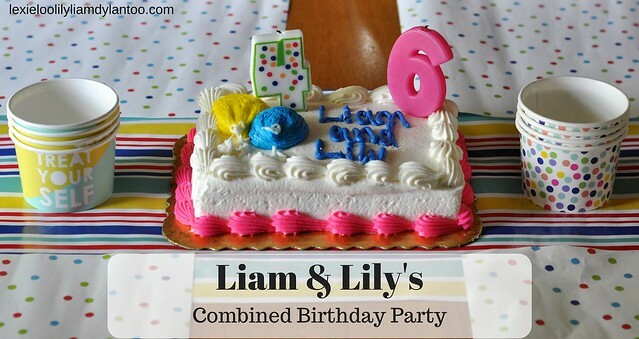 We only had one available Saturday in July, August or September to celebrate Lily and Liam's birthdays with our family and friends. Instead of the big party that we usually host, we only invited immediate family members to an afternoon party and our closest friends to an evening party. The party happened less than a week after we returned from vacation and two days after school started, so planning had to be minimal. Since there was a very limited guest list, we skipped the individual themes this year and just went with festive, gender neutral party decor! 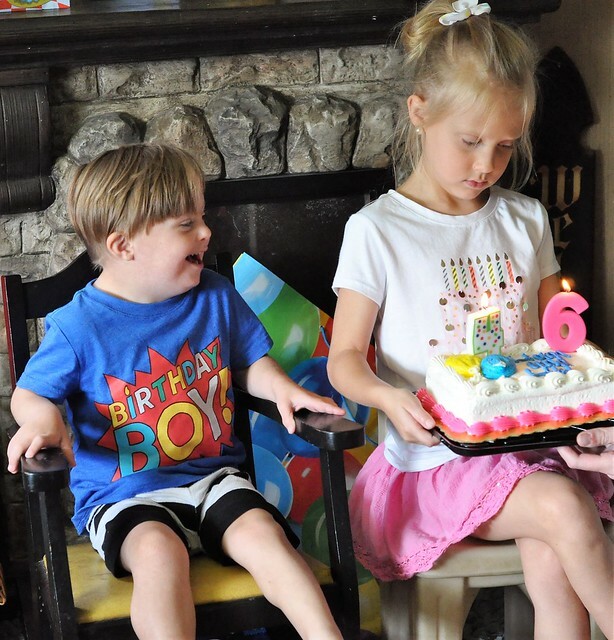 Although the party was a lot different from what we usually host, Lily and Liam didn't even seem to notice the difference. 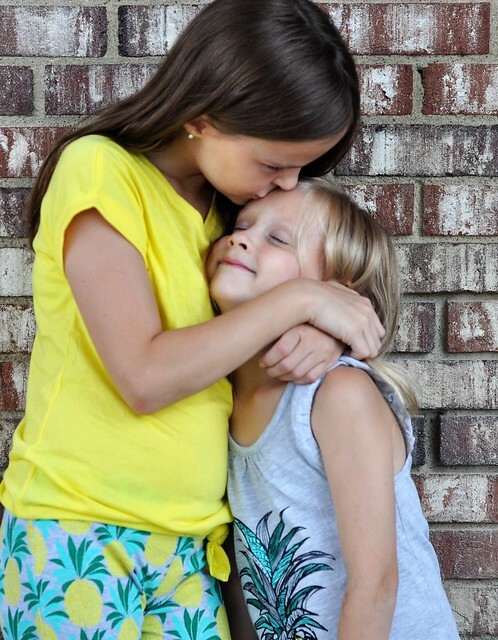 They both had a great day with family and friends! 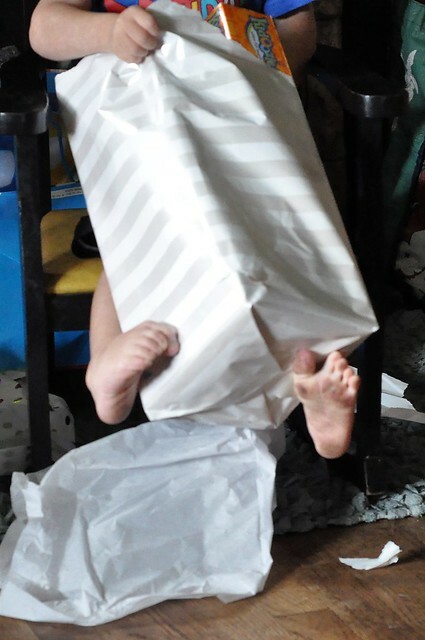 The first birthday party was in the afternoon. 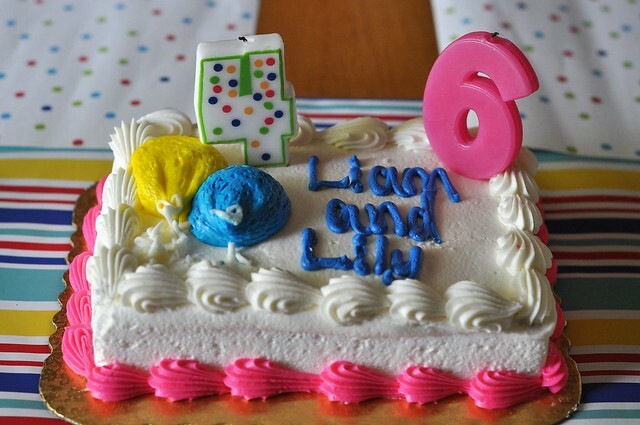 Our immediate family members joined us so we could all celebrate Liam and Lily's birthdays together! 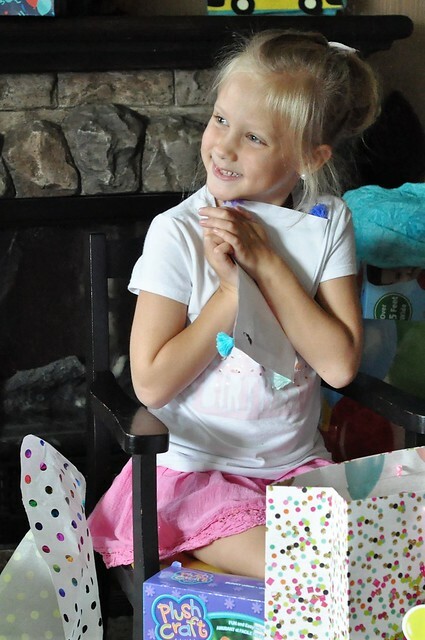 We kicked off the party with presents! 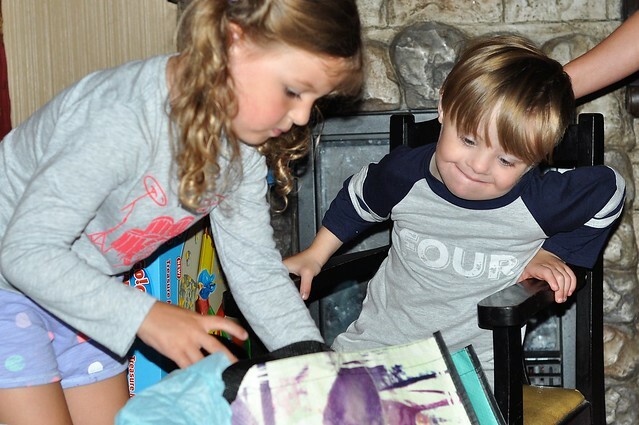 Lily and Liam took turns opening their awesome gifts, and they loved everything. Since we celebrated Liam's 4th Birthday at the beach, we could only give him small gifts that could travel easily with us. 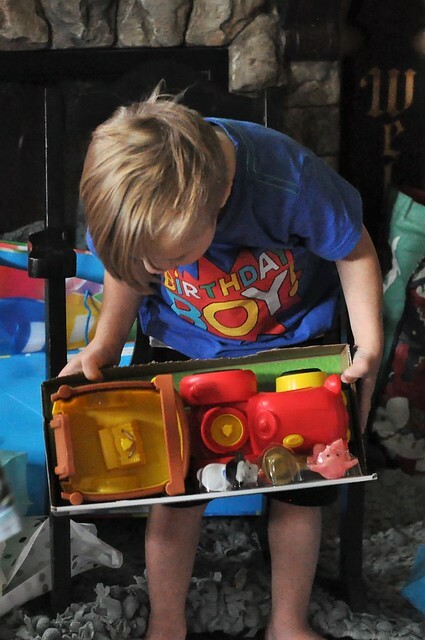 We saved his two big gifts for the party! The kids ran off to play while the adults talked, then we finished the party with the Happy Birthday Song and some cake and ice cream! It's always Liam's favorite part! The first round of guests headed out just before dinner, so we had a few hours in between parties. I straightened up the house while the girls played with their cousin, who was spending the night, and Dylan hung out with a friend. 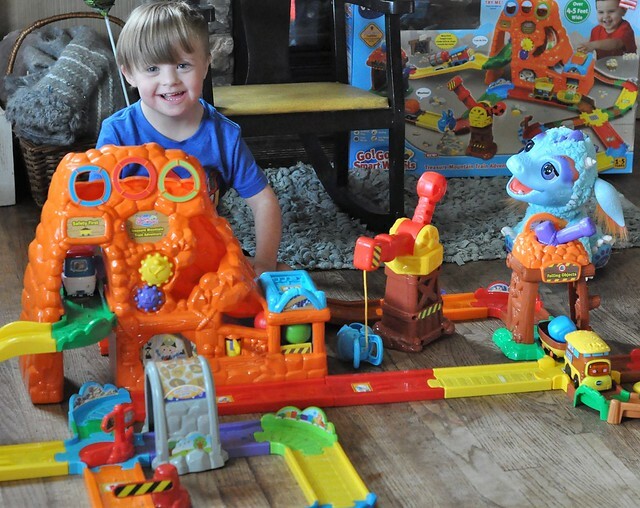 Liam happily dug into his new gifts with his new best buddy! Meanwhile, the older kids found an awesome friend outside! Finally, it was time for round two! I really slacked with pictures this year, but for good reason. 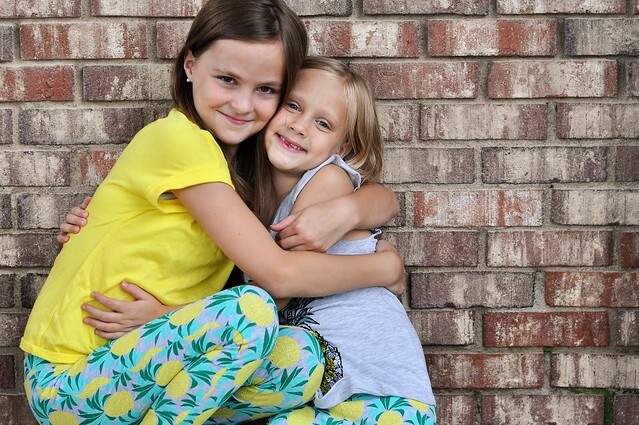 After two birthdays, three photoshoots, a family reunion, our beach vacation and the first day of school, I literally have a painful callus on my thumb from taking so many pictures! (Plus, I wanted to enjoy the party instead of documenting every second! We did the usual presents and cake routine, but since our best friends were here, the kids spent more time playing, so I didn't chase them with the camera. I can assure you that they had lots of fun! Our friends stayed very late, and the party concluded with a sleepover. A cousin and two friends spent the night, so the fun continued until the wee hours of the morning! Even though the party was much smaller than usual, it turned out so well! 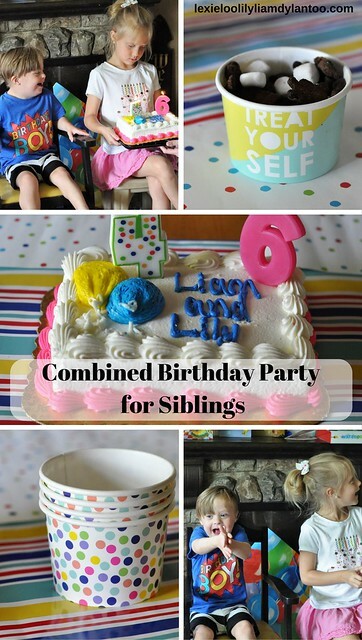 I was so worried that the kids would miss their themes and all the guests, but the gender neutral decor was just fine and they had so much fun with the family and friends who were there. The paper table runner, paper placemats and treat cups are from All In The Cards. Their affordable line of party supplies can be found at Target. (And you all know how much I love Target!) 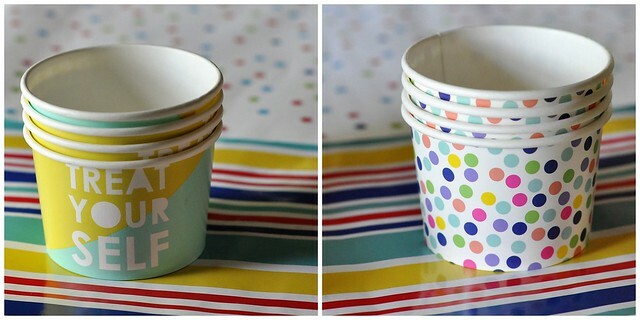 I loved the fun, festive colors and prints, and at the end of the party, I just rolled everything up and threw it away! We kept the food simple, too. The parties fell before and after dinner, so we had snacks and appetizers. Lots of chips and dips, cut vegetables, and cheese and crackers. And no party would be complete without one of the kids favorite snacks: Teddy Graham Trail Mix! 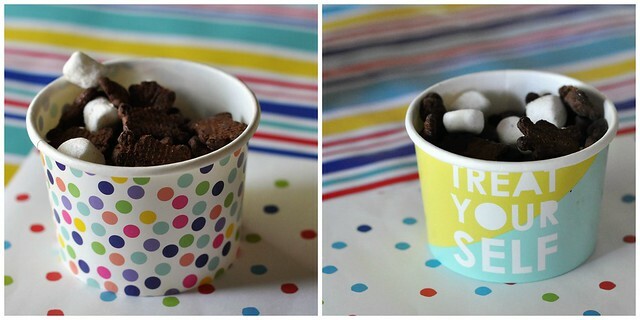 It's just Teddy Grahams, mini marshmallows and chocolate chips, and kids love it! My mom usually makes each child a cake, but didn't have enough time this year. 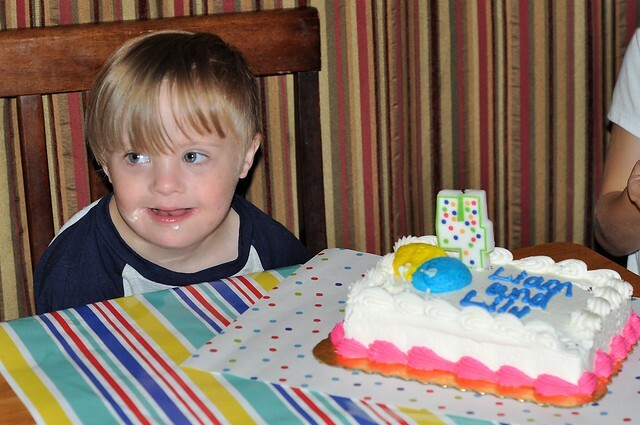 A small combined birthday cake (with Down syndrome awareness balloons) and mini cupcakes was plenty! 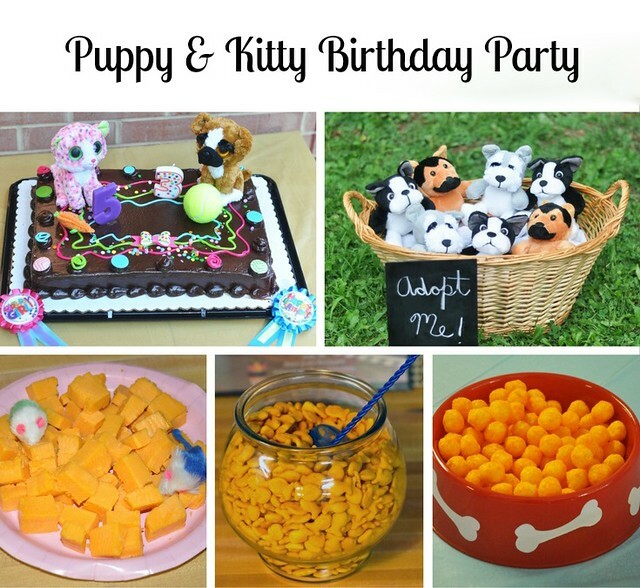 Saturday's simple combined birthday party proved that parties don't have to be big and fancy in order to be fun! 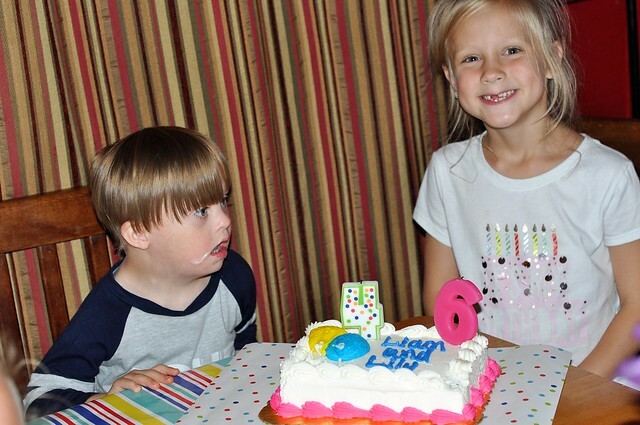 Lily and Liam had so much fun celebrating their 6th and 4th birthdays with a few of the people they love most!